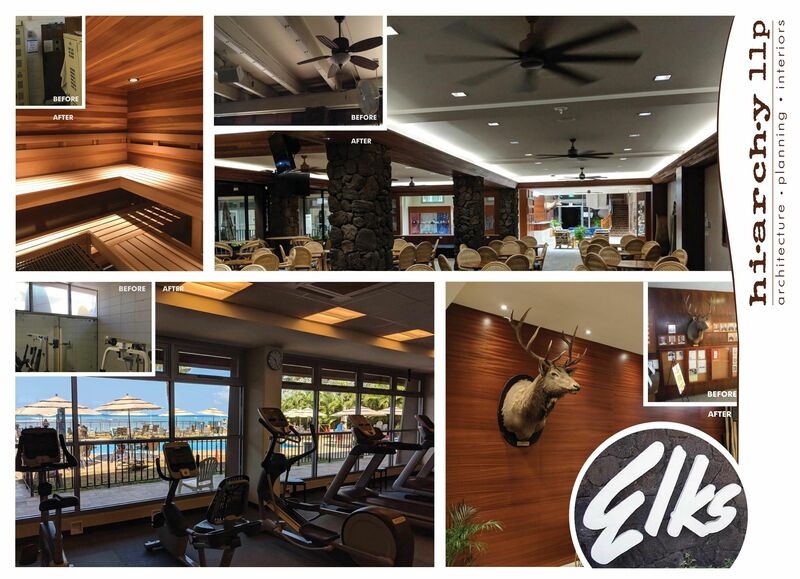 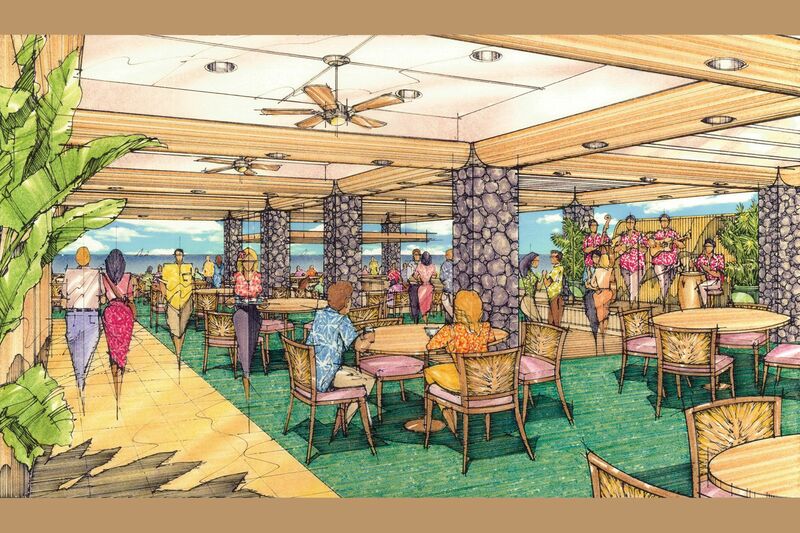 Originally constructed in 1959, the Waikiki ELKs Lodge tapped hi.arch.y llp to develop a master plan concept and full renovation package to meet the current and future needs of their members. 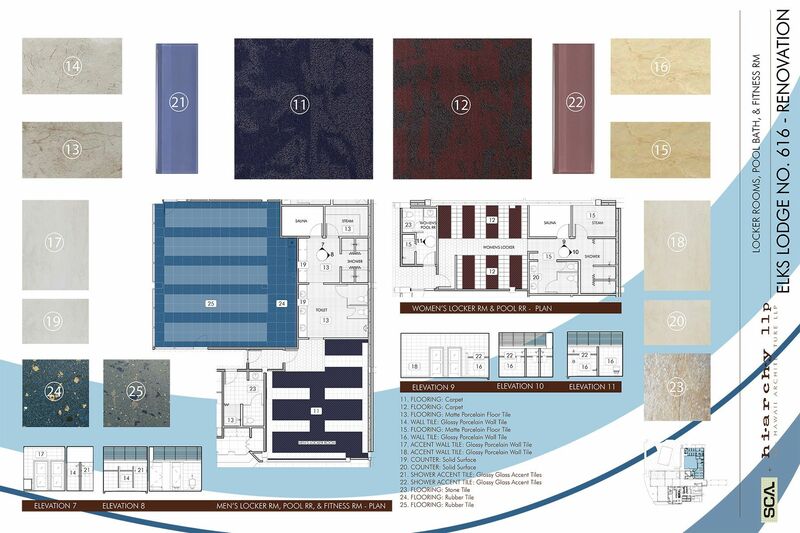 In conjunction with design consultant SCA, hi.arch.y llp developed an overall masterplan that when fully realized will provide a 2 story extension to provide much needed additional office space, storage and maintenance facilities. 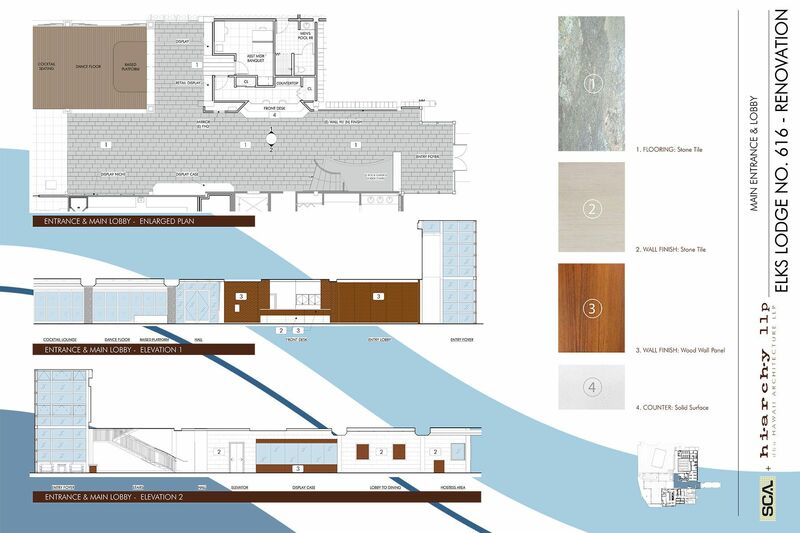 The full scope remodel also addresses a new entry concept that increases natural light and ventilation through the entry of the project allowing for an uncompromised view of the ocean. 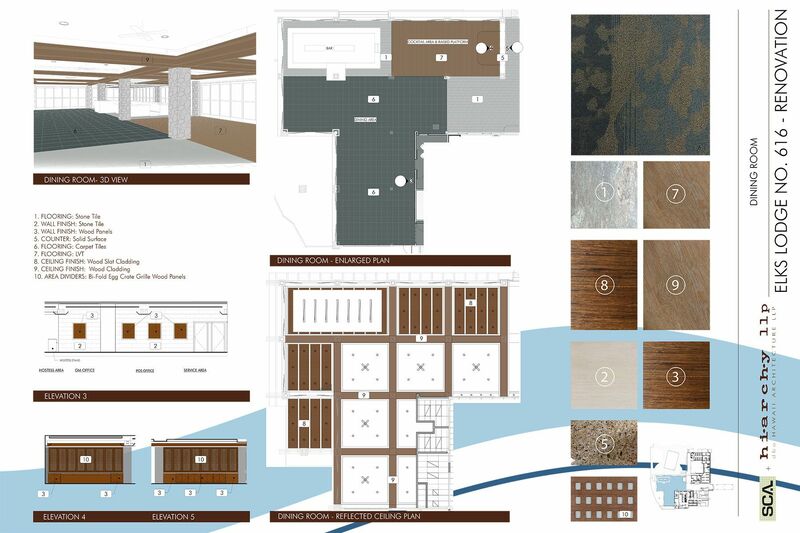 The phased project is slated to kick off with an initial scope that will initially address the locker rooms, fitness center, kitchen and dining / lounge areas. 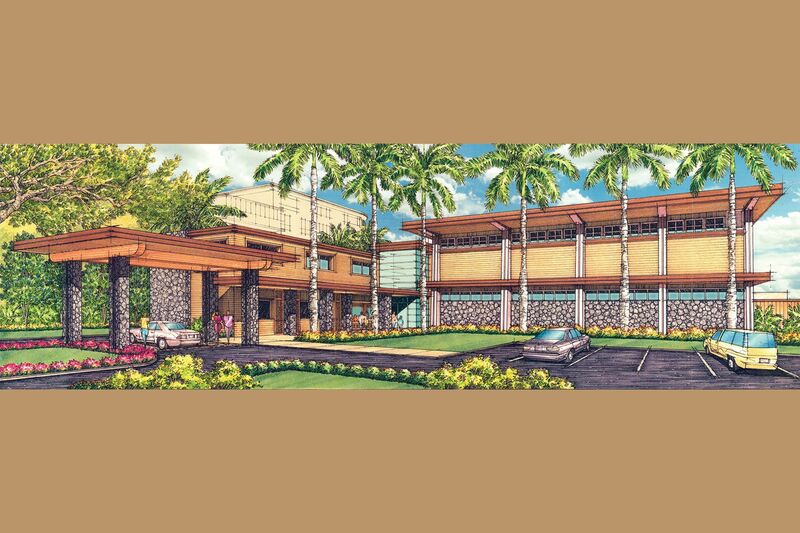 When future phases are fully realized the project will address the much needed additional program space of the growing lodge and also upgrade existing aging utilities while bringing a warm contemporary feel to a cherished Waikiki landmark.